Autumn sage is considered one of the most reliable workhorses of the garden. It can be planted all across warm-climate states and is a constant bloomer through the growing season. Salvia greggii produces bright red flowers, although different varieties produce a wide array of flower colors. The tubular flowers attract both butterflies and hummingbirds in droves. Plants begin blooming in early- to mid-spring and will continue until cold temperatures arrive. Plants are partially evergreen, losing some of their foliage in winter. Autumn sage can grow into a woody shrub-like plant, however it’s best to partially cut back plants in late-summer to encourage more fleshy growth and flowers. Plant in rock gardens, retaining walls, perennial beds, low-maintenance easements or anywhere it can benefit from well drained soils. 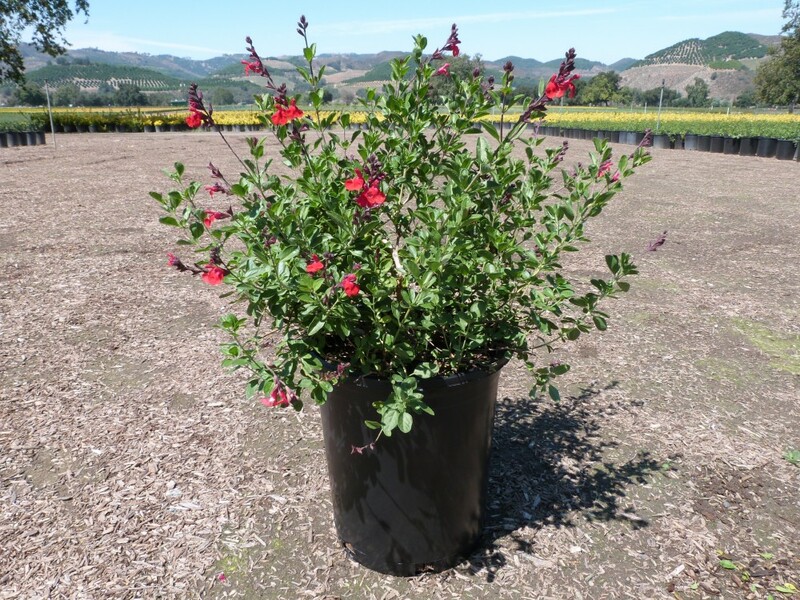 Autumn sage is very drought and heat tolerant as well as tolerant of poor and dry soils. It does not tolerate wet feet and will appear thin when planted in anything but direct, full sun. Autumn sage is very tolerant to many pests and disease and requires little care to thrive.